Friends, bring your walking shoes and we will bring the coffee! 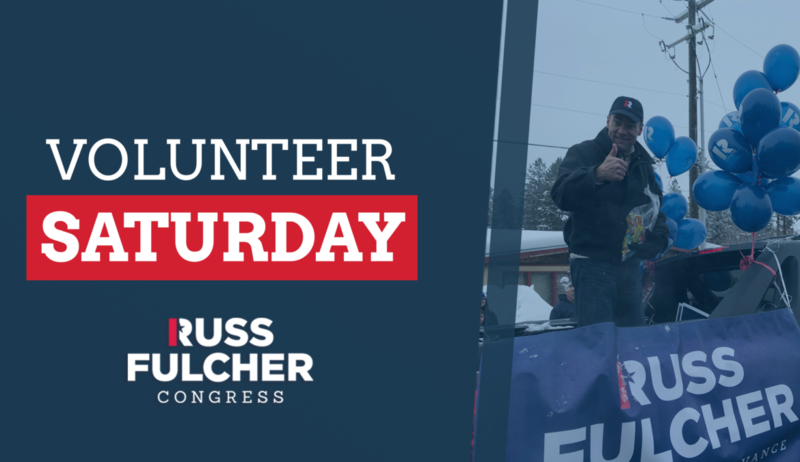 The Russ Fulcher for Congress campaign will be out volunteering all across the 1st Congressional District in the next few days and weeks. 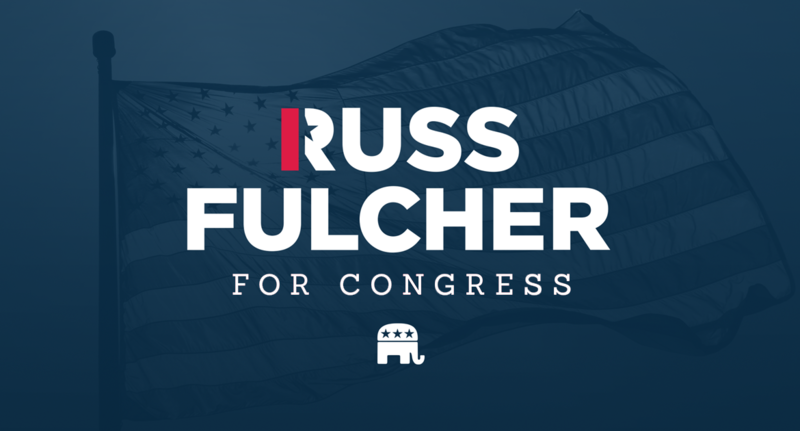 We hope you’ll join us as we talk to Idahoans about Russ’ exciting conservative message. Find your county chair below for information on volunteer dates, signs, literature, walking lists, phone lists, or volunteer training. 203 11th Ave S. Nampa. If you have not yet signed up to volunteer, join today by clicking here! 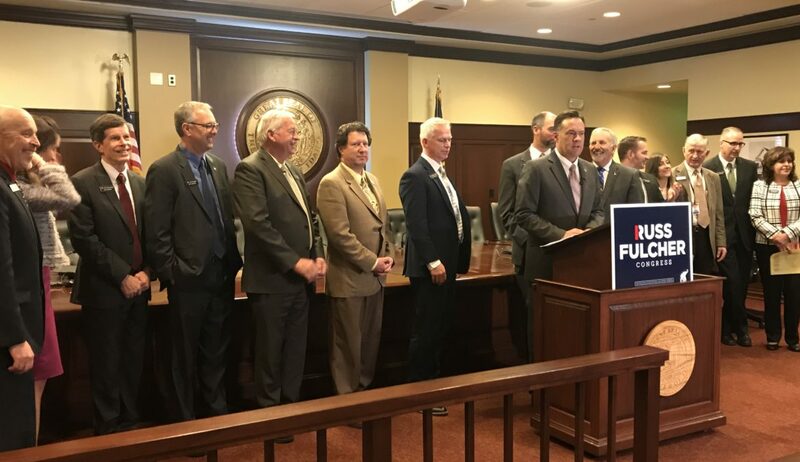 Senator Cruz and 26 Idaho lawmakers join Congressman Raul Labrador, Club for Growth, and FreedomWorks in supporting Russ Fulcher for Congress. To see a full list of endorsements, go to our Endorsements page. Carrying our momentum into 2018. Happy new year! From my family to yours, welcome to 2018. We were the first campaign in our race to establish our Grassroots Team! We achieved first place in fundraising! As of the last FEC period deadline on September 30, I was humbled and thrilled to see that we were in FIRST PLACE in our race with our fundraising totals! This is a big deal, as it will allow us to proliferate our message in the coming weeks. 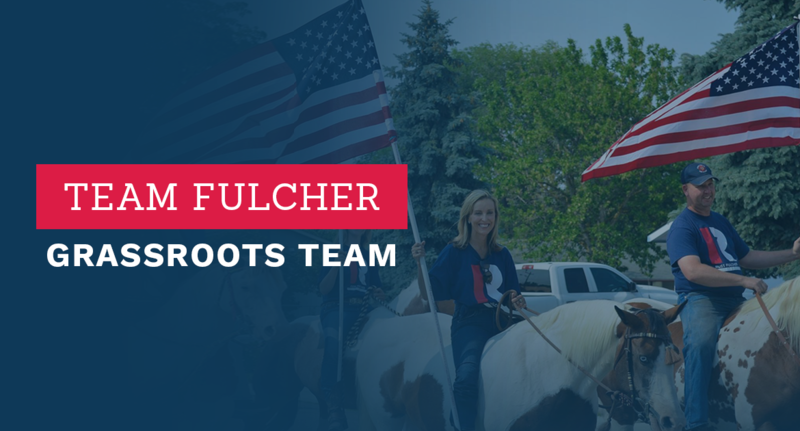 The money we raise comes in heartfelt contributions from hardworking citizens like you… people who care about freedom, defending personal liberties, and standing up against big government. I am deeply thankful for every dollar! 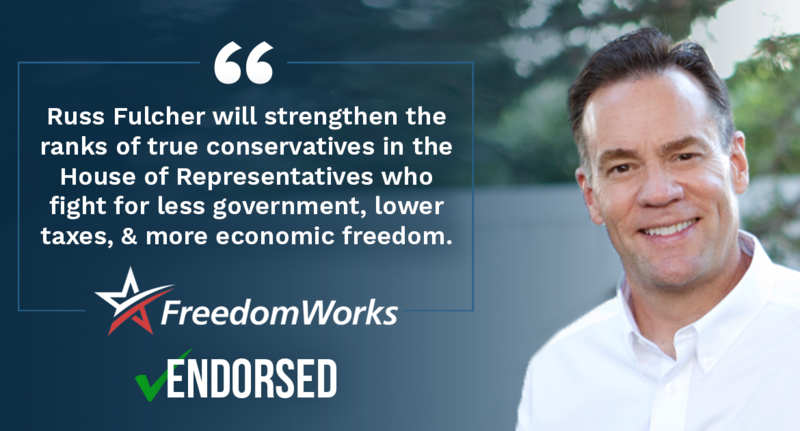 We lead the pack in endorsements! We are formally recognized by major national Conservative groups! 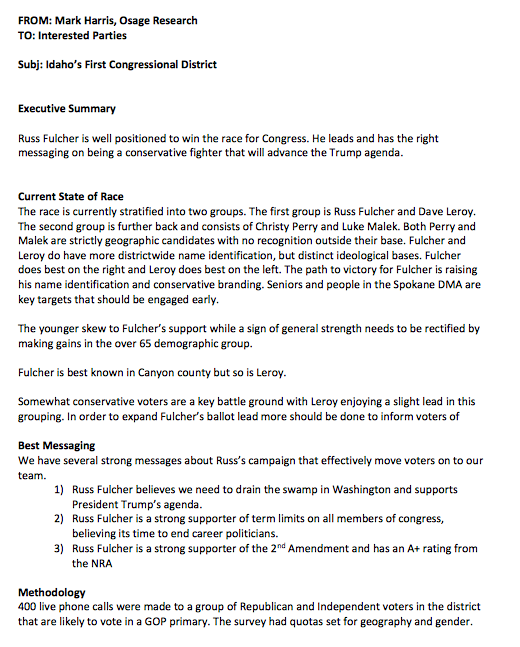 We are working harder than anyone to protect Idaho’s Conservative Values. If you know me at all, you know that I work very, very hard. I log the miles. I do my best to make myself accessible to you, and I take the time to meet and listen to as many Idahoans as humanly possible on how I can best serve you as the next Congressman from Idaho. We have already covered our district top to bottom multiple times- and we are going to do it again, and again, and again. We will not stop until we win! We are now just four and a half short months from Primary Election Day- let’s take the state by storm! We have a big task ahead of us, but together, we can do it. Tonight, we make a statement: In 2018, we resolve to stand for conservative values, and for candidates that will fight for those values. Let’s close out 2017 by sending a strong message to Washington DC that we are ready to shake up the way business gets done in Congress. Thank you for your support over the past year. Our campaign simply could not have done it without you. 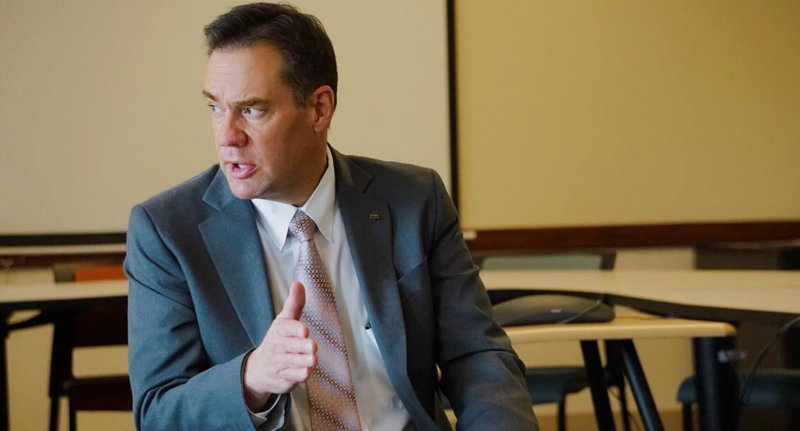 Russ Fulcher joined the Kevin Miller Show on KIDO to talk about the race for Idaho’s 1st Congressional District, the Club for Growth PAC endorsing his candidacy, and the state of conservatism today. Watch the full interview below or here.